Located in London, this apartment features a balcony. The apartment is 1.4 km from Lyceum Theatre. Free WiFi is offered . A dishwasher, an oven and a microwave can be found in the kitchen and there is a private bathroom. 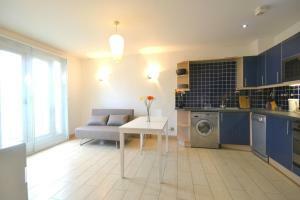 See all Farringdon Apartments reviews..